Congratulations you have just passed an order on our cheese site; you will receive an immediate confirmation of this order. If you have ordered for immediate delivery, except for Africa and Asia (48 hours) the cheeses will be on your doorstep within 24 hours from the date of your order. If you have ordered for a future date this is noted and will be fulfilled for the date requested. The process starts at 8.30a.m. by the orders received the day before. Pascale, sorts the orders, as to dates and delivery considerations. She then prepares the daily delivery list. Selection of the cheeses : This is the most important part; the cheeses have to be at the peak of their maturity leaving a little margin for travel. Through experience, feel and smell Fromages.com's team makes the selection from the cheese cellars where many cheeses are being ripened. We are convinced that this rigorous selection process, together with the express delivery aspect, enable you to enjoy their cheeses at the peak of perfection. 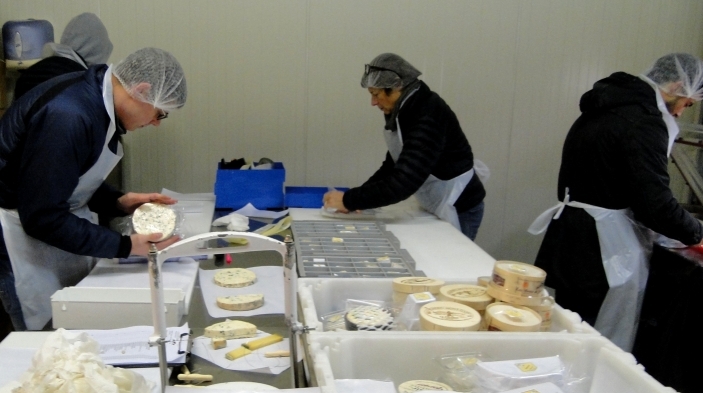 After this careful selection certain cheeses are cut and then the packing begins. Cheeses are packed in an isothermal box (in vacuum package) with cold packs added to make sure, for 48 hours, the cheeses are kept in a constant cool temperature. If you have sent a message this is put in the cheese box with a menu card addressed to you explaining what cheeses you have ordered, suggestion on the most suitable wine, and how the cheeses are best conserved. We also include an individual cheese nametag that you should place on the cheeses when serving. 12 a.m. 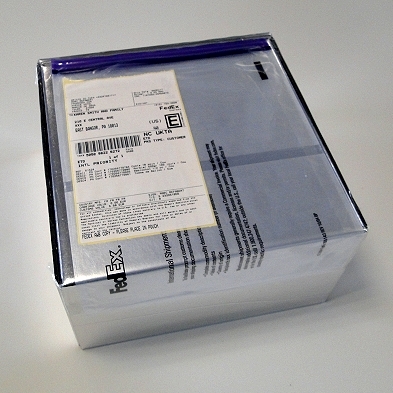 The packaging is completed, also all documentation required for shipment. The individual expedition numbers are transmitted to Tours. Our express carrier's van arrives for the pick up. 5 p.m. Here the packages are sorted by destination and prepared for the night flight. 4 p.m. Tours You will receive by e-mail our express carrier's tracking number which allows you to follow the transporting of your cheeses right to you door step. Any problems, Pascale is at your service. One ast word please make sure somebody is there to receive the package, it saves a lot of hassle. 24 hours later : Take your cheeses to the kitchen, open the package, there before you are one of the treasures of France. Even the smell will take you back to all those wonderful open country markets, stalls full of fresh cheeses you have never seen before. This is our world, thank you for sharing it with us.